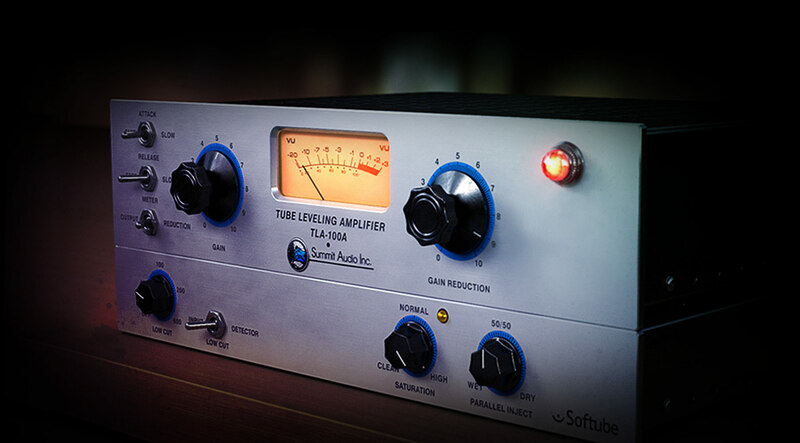 The TLA 100 sounds different from most of other analog compressors existing emulations. It can do from an almost subtle and un-flavored compression to a harder and kind-of-distorted one. The thing I love most is the ability to have plenty of control over each parameter. TLA 100 has some interesting parameters that not all (or a very few) analog emulated digital compressors have. It worth demoing to understand what it can do for you. Is it a must-have? In general, NO. But It can be very helpful when you understand the type of audio source that simply works better with it than would with a classic LA-2A or similar emulations. I'm in love with the plugin, but I don't really know the analog piece, so I'm not comparing it, but using it as it is. This compressor is an absolute darling in the hardware world. UA's plug in version leaves nothing to be desired. . Shut up & mix ! The TLA-100A is now quite possibly my favorite vocal compressor that runs on my UAD system. It combines the LA-2A's ability to lock in a centered, present vocal sound with more modern / more versatile features, such as variable attack and release time-constants and a wet-dry knob for easy parallel compression. This is really transparent and smooth on everything I've tried it on so far. I was very surprised how it made my electric guitars come to life with the Harrison EQ in line as well. I'll be using this all the time now. Well. I'm using it on every mix...EDM mix in native version. Its great that Softube make plugins for UAD ! I didn't get the memo! Softube Summit Audio TLA-100A...love it, got it. Softube Maag EQ, love it got! Something wrong with this picture. Ah, the exact plug ins are being sold by Softube. UAD I would rather by your version so that I could use on the front end of the Apollo but I really don't want to spend the money for a plug in twice. Either send me a memo to not purchase what you are planning to release or just make something original! This is very good, almost invisible when used conservatively, in a good way. Not first choice for rock, drums, or more aggressive music; but absolutely gorgeous on strings, horns, the right vibe of vocal - really amazing in the smoothest of compression, and lots of depth and width to the sound. I'd think a must for classical recordings, and a 1st try for anything that needs smooth and transparent treatment. Quise tenerlo desde que vi como All Smith lo utilizaba en el bajo. Y me sorprendió el sonido suave y redondo que proporciona. Me alegro de tenerlo en mis herramientas!! Incredibly smooth compressor with a hint of grit! Vintage soul future control, beautiful! Faggettaboutit. After I'd demoed this unit I immediately felt the love and knew it had to be part of my collection. The compression is very smooth even when pushed and just having the audio signal pass through without any compression at all introduces a very subtle warmth to the sound. If you're on the bench with this one, I can assure you it won't disappoint. I loved this thing in its hardware version, and this software is a beautiful rendition. The gain structure is so much easier to manage than the deceptively simple LA2A. Yes, they are different animals, but when used in conjunction with the Vintage models of the TL Sphere, magic happens. Those beautifully modeled mics come to life in a way I hadn't realized was possible. 5 star worthy, and thanks UA for bringing this most versatile piece of gear within the price range of all! Love this compressor on LV’s, BGV’s and Acoustic Guitars!